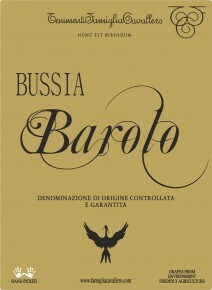 Barolo Bussia is a selection of the best grapes sourced from the famous, namesake vineyard in Monforte. Deep ruby red in color, on the nose it opens with fresh, balsamic notes and develops into more complex rose and liquirice complemented by red cherries, prunes and earthy tones. Well balanced and full with a long-lasting finish. Bussia is the ideal accompaniment to all meat-based dishes, wild game of any type, braised meat, dishes with truffles, creamy risottos and aged, rich cheeses. In the spring, the wine is transferred to large oak botti, where it matures for at least two years, or in the case of certain vintages, three years. After bottling, it rests in glass a further six months before release.